Podbean’s statistics system cannot track Spotify plays, since they cache your content and redistribute it from their servers. 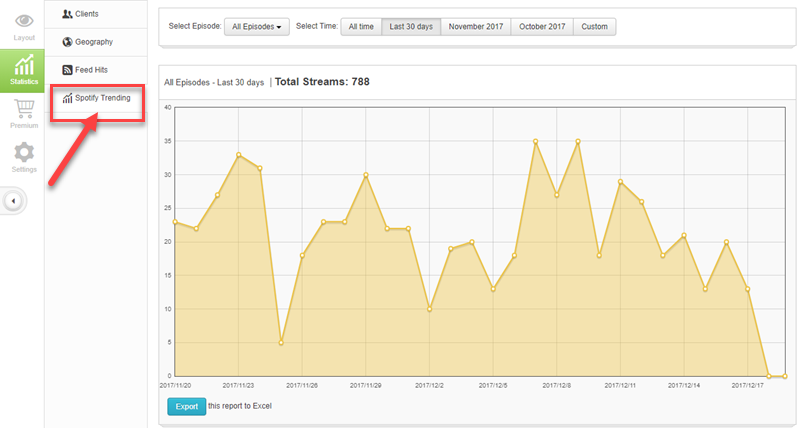 You can, however, view Spotify’s own stats in your Podbean dashboard. Simply go to the Statistics tab in your Podbean account and find “Spotify Trending”. You will be able to see your Spotify streams, as reported by Spotify’s system. These numbers are not included in your Podbean downloads or other statistics. Want to get your podcast on Spotify? Here’s the process for submitting your podcast to Spotify via Podbean.